It is easy to spend a day simply wandering the cobblestone hills of the 18th arrondissement in Paris. Home to such sights as Moulin Rouge and Sacre Coeur, there are endless things to taste, see, and explore in the famed artsy neighborhood. We know that you (most likely!) don't have endless amounts of time to spend in Paris, so we've come up with a few of the arrondissement's highlights to help you make the most of your time there. 1) Sacre Coeur - Climb the historic tower for one of the best views in all of Paris. 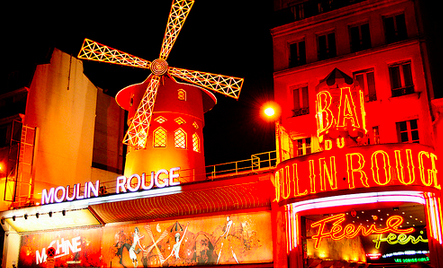 2) Moulin Rouge - Birthplace of cabaret, with shows nightly. 3) Place du Calvaire - Lovely square with striking views of the city's rooftops. 4) Espace Dalà­ Montmartre - Home to some of Dalà­'s most treasured works. 5) Montmartre vineyard - The last remaining vineyard in all of Paris.